Great information on Soybean Stem Borer from Brandy VanDeWalle’s blog! Several years ago I received a call from a grower who had lots of soybeans that were lodged; it was confirmed their fields had the soybean stem borer, which was one of the first times it was reported in Nebraska in recent years. 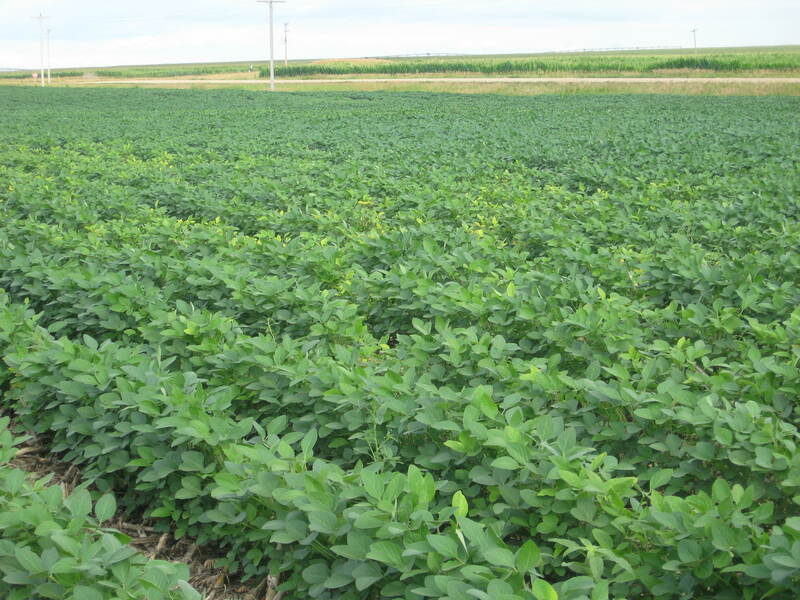 This year at the Soybean Management Field Day, entomologists reported that it has now moved north of the interstate and into York County as well. UNL extension entomologists, Bob Wright and Tom Hunt wrote an article last year on CropWatch providing the following information. This beetle (Dectes texanus texanus) has been moving into Nebraska from north central Kansas over the last decade.